CrisisGo believes that every student deserves to feel safe at school. Our safety platform makes it easier for administrators and teachers to stay connected and take proactive steps to keep students safe in an emergency, like the tragic shooting at Marjory Stoneman Douglas High School in Parkland, FL. Today, we have a special guest post by school security expert Jeff Kaye, which talks about what measures we can take to better protect students and teachers in case of an active shooter. 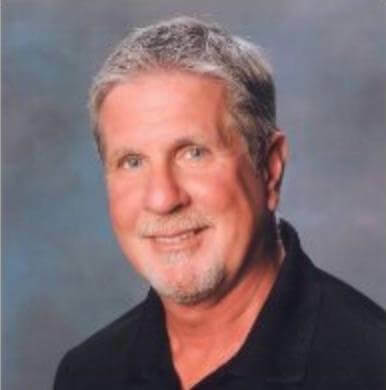 Jeff Kaye has over 24 years of experience in law enforcement and was formerly the Director of Security and Safety for the Desert Sands Unified School District. He is also the author of multiple books, including School Emergency Management, A Practical Approach To Implementation. As the President of School Safety Operations Inc., Jeff Kaye offers emergency management planning and training services to school districts internationally. In the aftermath of every school massacre, so-called “experts” surface to express their opinions on what can be done to prevent mass killings and school massacres. This is once again the case in the aftermath of the Valentine’s Day school massacre in Parkland, FL. The news media has been parading the self-proclaimed experts and talking-head politicians in front of their cameras to offer their opinions on what can be done. I am not an expert, and my opinions will not save lives. I am a school safety professional, and my job is to deal with facts, then put that information to use in planning and training for pro-active measures in school safety. It doesn’t matter what a person’s opinion is on the gun control debate, because the fact is the weapons that will kill tomorrow are already out there today. If we start with this fact, we can also start addressing realistic safety measures that can save lives. The only real Active Assailant response experts today are the staff members and students who worked through and lived through the massacre at Marjory Stoneman Douglas H.S. We need to listen to their stories about what worked to save lives and put that information to use for proactive school safety measures. The quick actions of staff members who appear to have been well trained in emergency response saved lives in Parkland, FL. Some staff members took action to get students behind locked doors and into safe rooms. No one behind a locked solid core door was killed in this massacre, and that remains a common fact in these incidents. Other staff members and students who had the opportunity to safely run from the attack to a position of safety, did so. This is also a tactic that has proven to be effective in school violence incidents. Some students and staff inside locked classrooms armed themselves with improvised weapons they could use to fight back in case the killer breached their locked doors. This shows a survival mindset, which is also an effective tool to be used in an Active Assailant attack. There is no right or wrong response; there is only action and inaction. The staff and students in Parkland, FL. chose to take action, and that life-saving choice was a result of pre-incident planning and training. This school also has a policy to keep all classroom doors locked so staff doesn’t have to take the time to lock them if a lockdown becomes necessary. This can also save lives due to the time and fine-motor skills required to lock a door after an attack begins. We saw the vulnerability of unlocked classroom doors during the Sandy Hook massacre. The fact that the administration at Marjory Stoneman Douglas H.S. took proactive actions to address the vulnerabilities associated with unlocked classroom doors pre-incident is also a tribute to their proactive planning and training programs. We also have to take a serious look at infrastructure target hardening of our schools. Perimeter fencing and a secure single point of entry are recommended best practices for schools. It is impossible to keep every perimeter door in a large school locked during the school day, but if an unlocked door is behind a locked fence, the vulnerability of that unlocked door is mitigated. Having a monitored, secure, single point of entry as the only entry after the school day begins is also effective. If a person wants to get into a school to do harm, they’re probably going to get in. But if we can start the fight at the front entry and delay a suspect from getting into the school, the rest of the school has time to start taking action and law enforcement can be notified earlier. We only have to worry about the time between when a violent incident starts and when law enforcement arrives to take care of that problem. Anything we can do to make it harder for a suspect to get into a school and delay their access to students and staff will save lives. This is a proven tactic in facility infrastructure target hardening. We make infrastructure target hardening recommendations when doing facility assessments at schools. We can target harden a school without making it look like a prison or having a detrimental effect to school operations. One just needs to look at photos of the new Sandy Hook Elementary School as proof of this. But 100% of the time when recommended target hardening projects are not followed up on, it is because there is no funding available. The U.S. Department of Education stopped funding the Readiness and Emergency Management for School (REMS) school safety grants in FY2010. There is little to no federal funding available to assist schools with target hardening projects, training, or funding of the all-important School Resource Officer programs. Funding is the biggest gap in school safety that needs to be filled, and we need help from the federal government to do that. We don’t need handouts, we need grant funding to assist with realistic projects for school safety. Planning, training, and infrastructure target hardening are the way to address the threats of school violence.